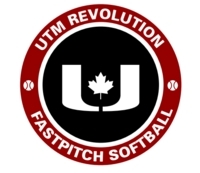 UTM Fastpitch is now in its 4th year of operating teams known as UTM Revolution. Our teams are all affiliated with the Provincial Women's Softball Association (PWSA) and compete in tournaments in Ontario and the United States. We provide our affiliate teams with a social media, web presence, access to tournaments, diamonds, equipment, uniforms, college leaders etc. We currently are operating four affiliated clubs for the 2019 season (2K2 East, 2K4, Brantford, Rev 002). We would love to continue to expand further, and we are always looking for new affiliate leaders. If you would like to run/operate a UTM Revolution franchise for the 2020 season please contact us via email. This applies to those that may be interested in Ontario, but also in other parts of Canada as well. Our existing membership reviews the application to ensure compliance with the governance of UTM Fastpitch. We also ensure that we don't have competing affiliates in the same age/geographic location. We will work with new affiliates to arrange tryout times, etc.